It has always been my goal to educate, encourage, and entertain you with our personal experiences in DIY. Cooking a Turkey for Thanksgiving should be no exception. Thaw a turkey for before you are going to cook it. Make sure that your roaster is large enough for your chosen bird. You must prepare ahead, read all directions, and leave enough time for error. Not doing any, all, or part of the above points will cause failure in some way to cooking a turkey. 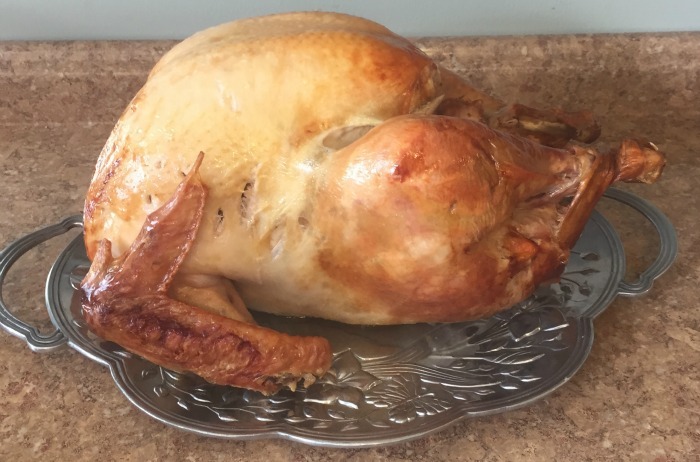 If this is your first time cooking a turkey- READ THIS NOW!!! All content is TRUE and has happen to me so I speak from experience. Somehow I made it to my 40’s without ever cooking a turkey. I’m not a huge fan of turkey so once or twice a year is enough for me. More experienced family members always offered to cook the turkey so I looked at it as win-win. Last year, it was time. I would finally cook a turkey. Weeks before thanksgiving, I began reading every blog and website about preparing the perfect turkey. I admit- the Norman Rockwell vision was in the forefront of my mind. Distracted by the vision, somehow I missed reading how many days ahead I should have purchased the turkey. 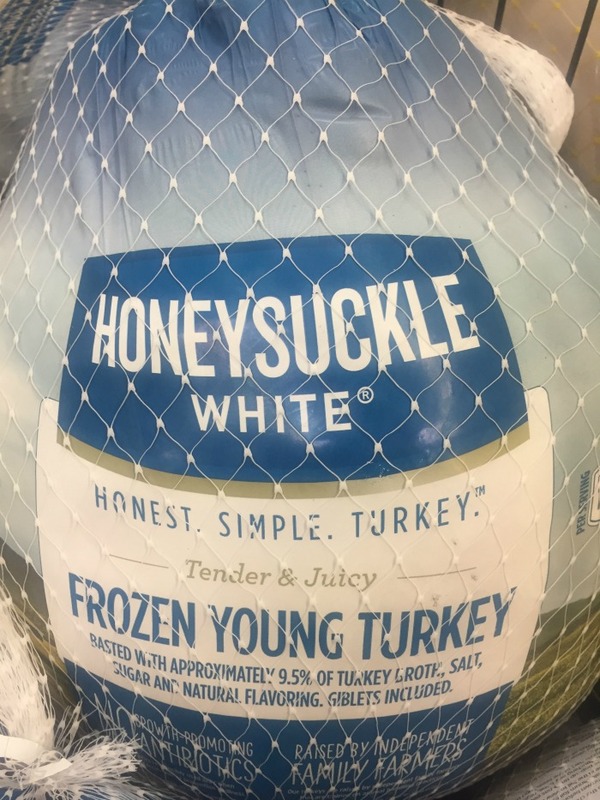 I bought a 22 pound frozen chunk of turkey ice with only two days until Thanksgiving. Apparently, you need 4 – 6 days so I got very hands-on with my turkey while thawing him in water for 11 hours the day before Thanksgiving. Did you know that you have to change the water every 30 minutes? I didn’t. I’m told that some people prefer thawing a turkey in cold water but I would have been happy with letting it thaw in the fridge. That was hard work. PLAN AHEAD I SAY! Mistake #1 Summary: Read all the directions and just start November 1 for heavens sake. Go buy your turkey and start thawing it in the fridge according to the package. It is a several day process. Cooking a turkey was becoming reality as I arrived home with the roaster. Of course I put the turkey in the roaster to make sure that it fit. All preparations were well thought out and I went to bed the night before relaxed and ready. 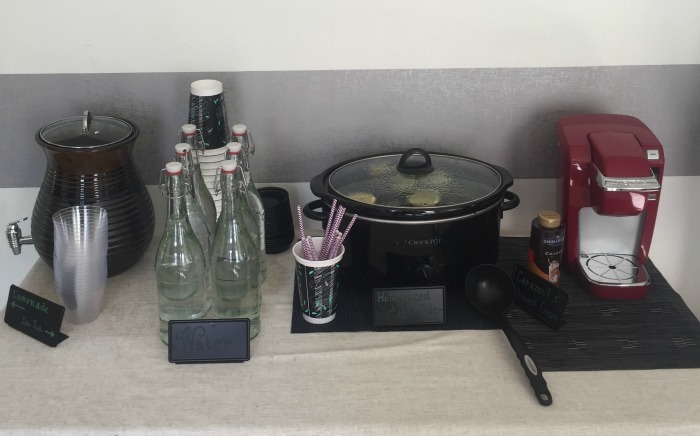 The drink bar was ready. The next day was perfectly planned with a time schedule of each preparation. 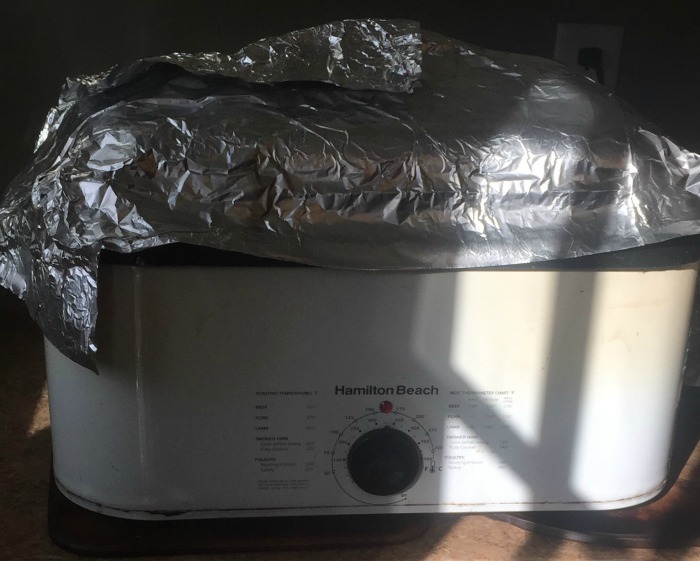 I got up early on Thanksgiving day, which was also my 10th Year Anniversary, and pleasantly got the turkey out of the fridge and put it in the roaster as planned. All was going according to plan. 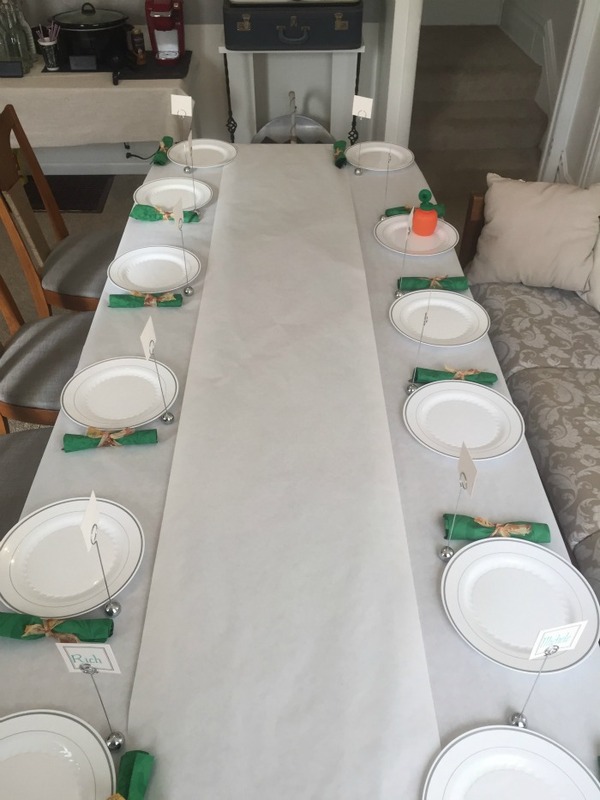 The table was set and waiting for the turkey. Never once in all of my planning did I think to put the 22lb turkey in the roaster WITH THE LID ON to see if THE LID fit. Yep, you guessed it. As my family happily slept, I discovered the lid would not shut. There I was like a girl packing for a trip and sitting on the suitcase that wasn’t going to zip. I pushed on the lid. I sat on the lid. I tried to make the legs on the turkey straighten up (if that is even possible) and nothing would work. I was now off my schedule and I had no more ideas. Mistake #2 Summary- When one is going to cook a turkey, check to make sure that lid fits on top! Admitting defeat, I asked left brain to come down and help. First I started with, “Happy Anniversary Sweetie! Aren’t you glad you picked me out of all the ladies in the world! ?” He said yes and….. yeah we didn’t have time for any of the mushy stuff, I had to clue him in and fast. Then, I proceeded to quickly recap what I had done because I’ve learned living with an engineer that facts help when diving into a dilemma. He thought I was joking. Sadly, I was serious. I started giggling. This is what you see in the movies, not in “real life” when you thought that you planned every little detail in advance. Next, he sprung into action and got the grill clips and grabbed that turkey on all four sides and balanced it evenly around the edges. Then, left brain asked for all the foil that we had in the house. He wrapped the outside of the roaster like a giant baked potato and we crossed our fingers that our meal would be ready in time. I did not have a roaster for the oven big enough and my oven was already occupied with cooking the other dishes. Do you see why I started to giggle? It was that or cry and I was not about to cry over a turkey!! Pacing the entire time, we glanced over and listened to the sizzling roaster hoping that this would work. We did not dare unwrap the foil to check on the roasting fowl, that was against the instructions! The instructions strictly said “never lift the lid or else you lose most of the heat”. I didn’t want to disturb the aluminum Fort Knox that left brain had constructed. We were all-in at this point! Visions of a beautiful glazed turkey were now replaced with visions of any turkey on the dinner table. 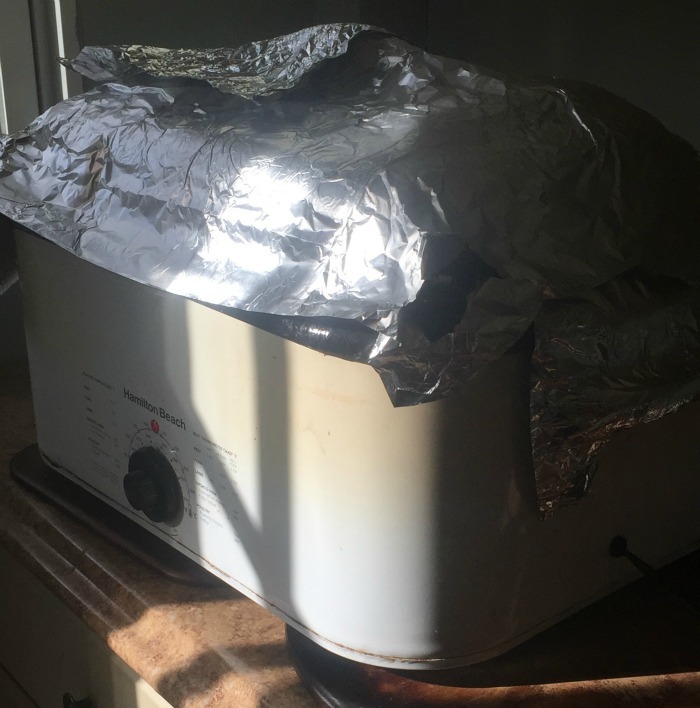 I couldn’t stop giggling as I looked at how ghetto the roaster looked all wrapped in foil. I had the fire extinguisher ready just in case. Happily, I report that the turkey was indeed done on time before the guests arrived. 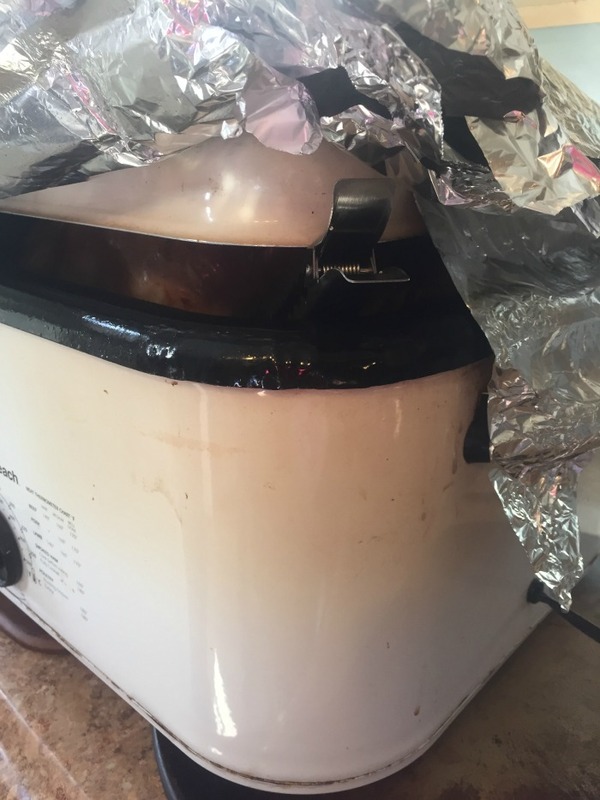 The offensive sight of the foil-wrapped roaster was packaged away neatly before the guests arrived to await another holiday where its service will be needed. I learned a very valuable lesson that day. Always put a lid on it!!! 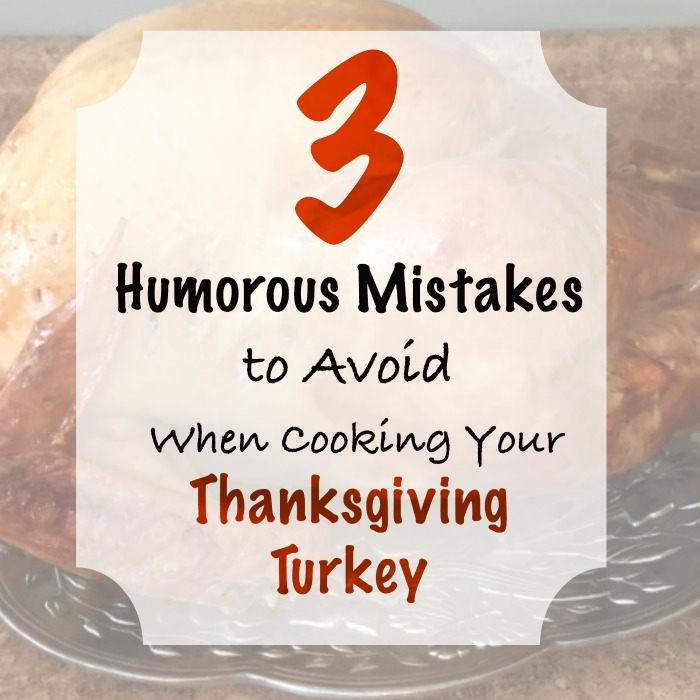 I hope you avoid these 3 mistakes as you begin cooking a turkey for the holidays. I’d love to see how your holiday feast turned out. 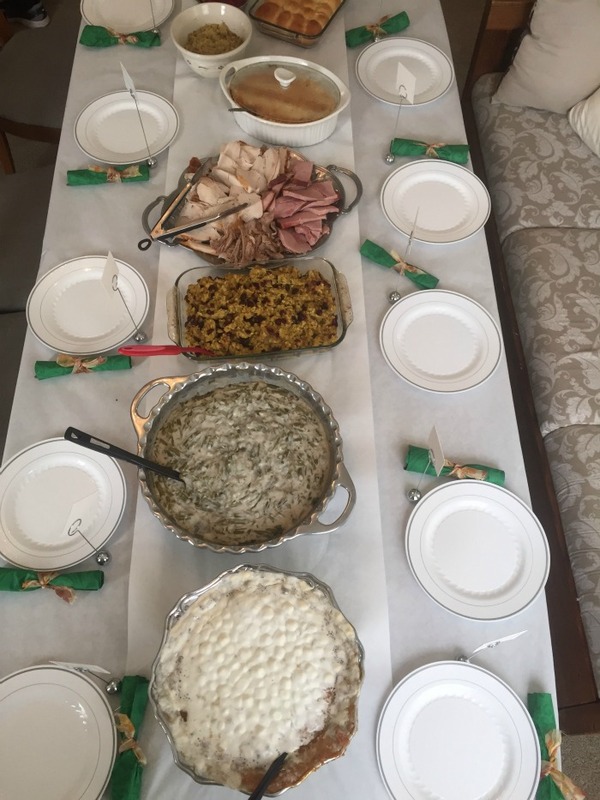 Send us pictures of your holiday table. For updates on our latest new, events, renovations, and projects, sign up for our free subscription below. 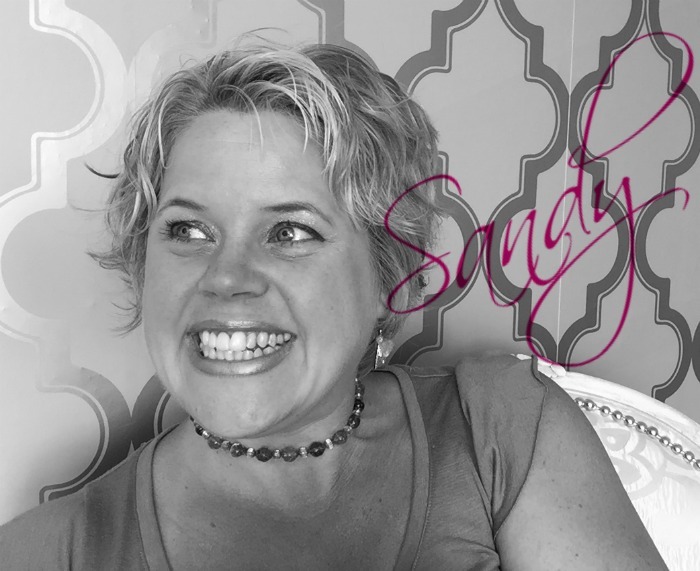 Not only did I giggle the whole way through your blog this morning Sandy…I LAUGHED OUT LOUD! Not kidding you 🙂 And I always love when “left brain” comes to the rescue! Have a wonderful Thanksgiving sweetie!